MatApps is a Multipurpose Material Design App Landing Page HTML Template. 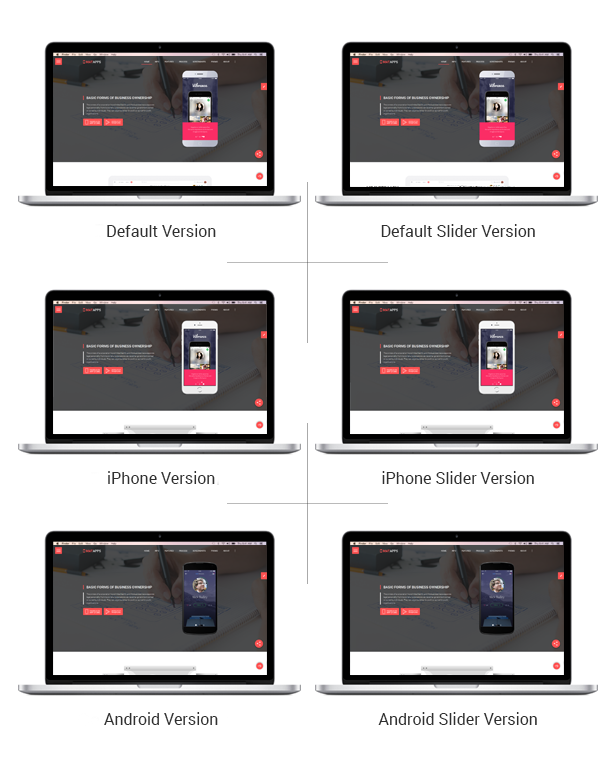 There are total 6 (six) versions, including iPhone Mockup and Android Mockup versions. It’s an HTML template based on Material Design Lite and Bootstrap 3.3.6. Anyone can easily update/edit this template to follow our Well Sorted Documentation.